Working on the front line at TableUp, we get the pleasure of interacting with hundreds of restaurants each month. From small mom-and-pop locations to enterprise restaurants looking to further expand across the country—and everything else in between—there are a number of interesting restaurant trends sweeping the industry. There are many wonderful solutions on the market that have been embraced by restaurants and guests alike—but at what cost? On the reservations side, there are companies charging up to $1 per head, which quickly adds up. They justify it as the cost of acquiring a customer, but studies show that 70% of your guests are return visitors so why are you paying this acquisition cost when they would return anyway? Restaurants are becoming weary of these expenses and are looking to offer reservations through their website to eliminate the exorbitant costs each month. The same very much applies to online ordering. There’s no questioning whether third-party solutions with an emphasis on acquisition can help a restaurant drive short term guest traffic and revenue but what about long term? One challenge restaurants face is in the lack of transparency often associated with third-party providers. Many are very selective about the types of guest data they share and, without an extensive guest profile, restaurants lose the ability to effectively communicate future offers, promotions, and other information. It’s time restaurants took responsibility for capturing guest data across all touch points (dine-in and online) so it can be used for driving long-term growth. Do I need to pay these high costs if the majority of my guests are repeat visitors? Am I hurting my brand by not leveraging my own website for reservations and online ordering? Do I really understand who my guest is? And could I effectively reach out to everyone who has ordered from me in the past 6 months? At TableUp we’re putting power back into the hands of the restaurants. Offering reservations and online ordering that is directly embedded into your existing site, we reduce and even eliminate the high and hidden costs of other providers. Your margins are already razor-thin. Why make them smaller? 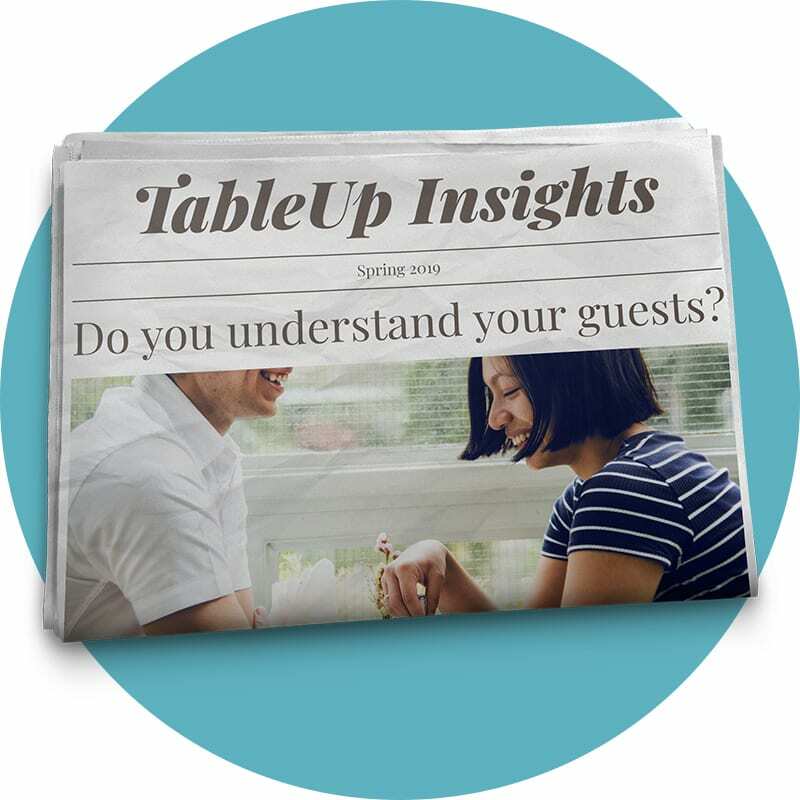 Getting the right information to the right guests can be a big challenge. When used properly, it's much more than just a place for pretty photos. More and more customers are looking to engage with your restaurant online.